Koenigsegg Regera’s key is the world’s most expensive car key and it is pricier than most cars you see on the road. 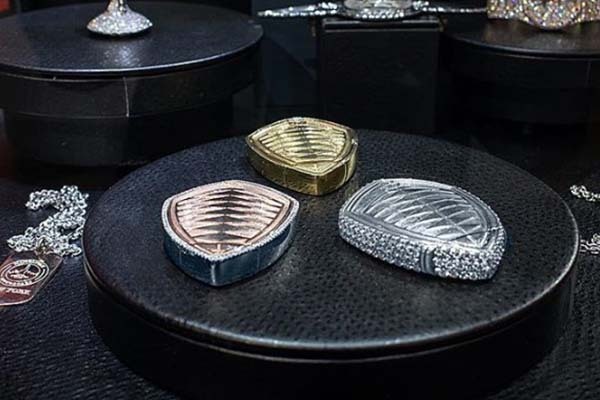 The key which is decorated with 18K pink gold or 40k diamonds comes from a company specialized in automotive jewelry. Other options are also available. Although there is no official price, the key is said to cost an estimated $250,000 i.e N90 milliom while the car itself cost about $2 million (N720 million)The Koenigsegg Regera is powered by a twin-turbo 5.0-liter V8 combined with three electric motors producing over 1,500hp and 1,475lb-ft of torque. It sprints from 0 to 100km/h in 2.7 seconds with a maximum speed of 410km/h (255mph). Only 80 units of the Regara will be produced and they have all been sold out already. If asked to choose, which will you take between a brand new 2018 Toyota Camry or the key of this Koenigsegg Regera? Tell us in the comment section and don’t forget to like, rate and share.